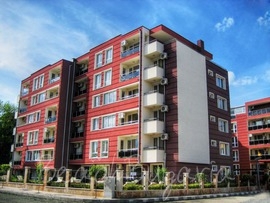 Ravda provides different accommodation opportunities - hotels, suites, rooms for rent with all facilities for a relaxing holiday near the beach of the Bulgarian Black sea. Ravda is a popular summer destination for young people, students and families with children. Check out some of the recommended hotels available for online bookings: Emerald Resort, Blyan Hotel, Grand Sirena Complex, Ravda Bay Aparthotel, Riviera Fort Beach Hotel. Choose a hotel, fill in the booking form and our representative will be in contact with you shortly. 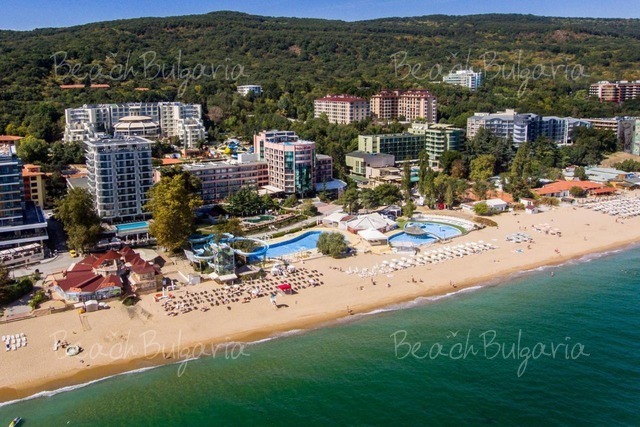 Emerald Beach Resort and Apartments Complex is located in Ravda Black Sea resort, less than 15 km from Bourgas Airport and only 5 km away from Sunny Beach. Melia Ravda apartments is situated 100 m from the beach of Ravda resort. The town of Nessebar is located just 3 km to the north of Ravda. The hotel offers accommodation in 6 studios, 45 one-bedroom suites and 2 two-bedroom suites. 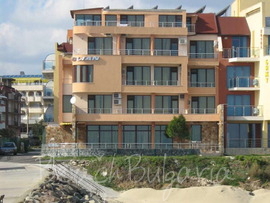 Riviera Fort Beach apartment complex is located on the beach of Ravda village on the Black sea coast in Bulgaria near the ancient town of Nessebar. The complex offers a beautiful sea view.